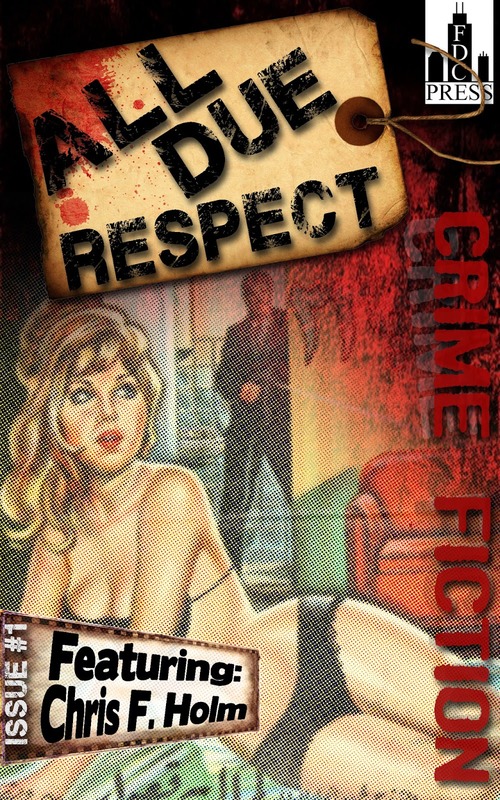 Issue 1 of All Due Respect has the best of crime fiction today, including an original story and interview with featured author Chris F. Holm. The rest of the lineup: a brutal story from Thuglit editor Todd Robinson; the deeply disturbing “Amanda Will Be Fine” by Renee Asher Pickup; a revenge tale by the King of Brit Grit, Paul D. Brazill; the strangely satisfying combination of yoga and organized crime from Travis Richardson; a still-beating heart ripped straight out of the Amazon River basin by Mike Miner; and Walter Conley kicks a couple of clueless Connecticut thugs to the curb. 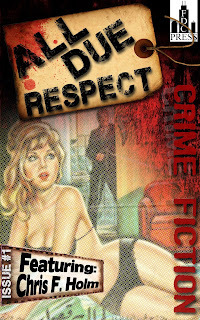 Plus reviews of Steve Weddle’s Country Hardball and Holm’s Collector series—and an entire section devoted to the books of legendary paperback publisher, Hard Case Crime. All Due Respect and your eyes: a combination even better than doughnuts and coffee. Check it out at for Kindle at Amazon, Amazon UK, and a print version is now available. That's a very exciting development. Well done folks. Don't die - I need you guys. Hard Case should be all fast reads, but how many are there?